Richardson’s work on Chronicle, which had been previously syndicated nationally on the Arts and Entertainment Cable Network and on other cable stations, had taken her from “The Main Streets and Back Roads of New England” to her ancestral Ireland, the Great Wall of China and Castro’s Cuba. Mary Richardson is currently the Community Liaison for Steward Health Care System. In this role, she provides a bridge between the Hospitals and the communities Steward serves. This includes hosting and producing a series of web-based videos which can be seen by the public on the Steward web site and which highlight the special services and award-winning care offered by each of the six hospitals in the system. Richardson appears frequently at charity and business events, speaking about the work of Steward Health Care, and recounting the many adventures and travels of her Chronicle career. Mary Richardson was co-anchor of WCVB-TV’s Chronicle, the nation’s longest running locally produced nightly newsmagazine. She began as cohost with Peter Mehegan in October 1984 and then partnered with Anthony Everett. Richardson joined WCVB in 1980 as a news reporter and anchor. She also served four years as the host of Five on Five, formerly a WCVB weekly public affairs series. For a decade Richardson co-hosted the annual Holiday at Pops! concert from Boston’s Symphony Hall as well as the popular Pops Goes the Fourth! celebration from the Hatch Shell on the banks of the Charles River. The concerts had been broadcast locally on WCVB-TV and enjoyed by millions nationwide on the A&E Network. The former WNAC-TV brought Richardson to New England in 1978 when she became the ﬁrst female in Boston to coanchor an 11 o’clock newscast. She quickly established herself as one of Boston’s most popular local television journalists. Richardson was raised and educated in California where she received her undergraduate degree from the University of Santa Clara and graduate degrees at the University of California, Davis and at California State University. She began her broadcasting career in 1973 at KCRA-TV in Sacramento, CA. By 1975, she was the station’s co-anchor for the 5PM and 11PM newscasts. In April 2010, Richardson received the ﬁrst-ever Tim Russert Award from Boston Healthcare for the Homeless. Other honors bestowed on Richardson include: a 2010 Pinnacle Award from the Greater Boston Chamber of Commerce for Lifetime Achievement; the 2009 National Acade3my of Arts and Sciences Silver Circle Award recognizing Richardson’s signiﬁcant contributions to her community, the television industry and to individuals training for careers in the ﬁeld of television; a 2009 Honorary Doctorate from Regis College; and the Exceptional Woman Award in 2008. With Richardson as co-anchor, Chronicle has won two prestigious Alfred I. duPont-Columbia University Awards, several national Gabriel Awards and numerous local Emmy Awards. As co-host of Pops Goes the Fourth!, she shared a national Primetime Emmy nomination. 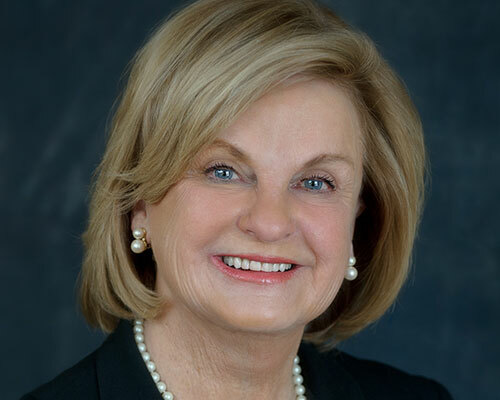 Over the years, Richardson has generously donated her time to countless Massachusetts charities, such as Horizons for Homeless Children in Boston, where she volunteered reading to homeless children. Richardson also contributed her talents to Boston Healthcare for the Homeless, the Inner City Schools Foundation as well as the New England Province of Jesuits. Richardson, mother of three, lives in Belmont with her husband Stan Leven. Leven is a senior producer for Chronicle, and has often worked with Richardson. They co-produced an Emmy Award-winning documentary on AIDS.